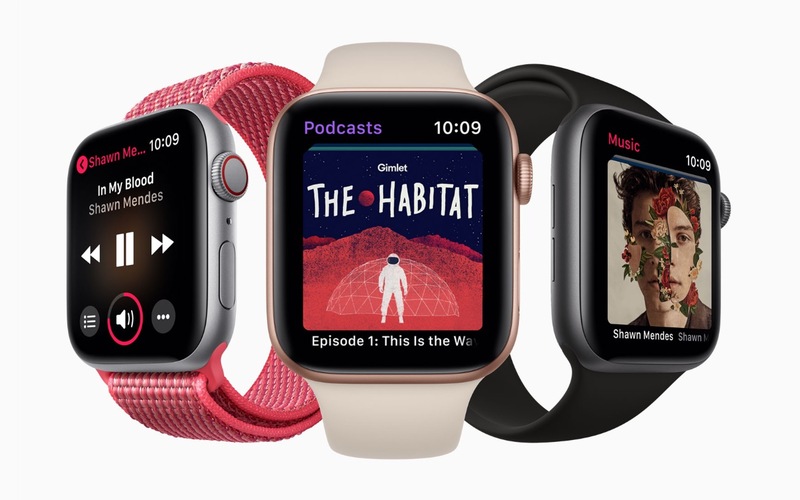 Apple announced its Apple Watch Series 4 a week ago and the early reviews that dropped this week are about as glowing as is possible. I’m not shocked by that either, because it was pretty obvious as Apple revealed their new watch that it was the most impressive hardware from their fall event. The reason it’s sad is the fact that it shows how badly Google and its partners screwed up wearables on Android and just how far behind Apple they are. Android Wear was originally announced in March of 2014. At that time, Motorola showed off the original Moto 360 and LG showed off the original G Watch. We then got a taste of both at Google I/O that year and have since seen years of Android Wear watches from a variety of manufacturers. None of them would probably be categorized as a major success. In fact, we’ve seen some of the players give up completely on wearables in recent years, as Google’s wearable OS now seems to be mostly driven by fashion brands. Now called Wear OS, I’m still not sure I could point to a watch that has done anything to advance the platform. You would think that Google might want to take a stab at it, you know, since this is their wearable OS. You may recall a Nexus line from Google that was once used to showcase each year’s new Android release on phones or tablets and possibly introduce a new hardware or software idea. Google has never taken a single shot at showcasing what it believes to be the best use or representation of Wear OS. That’s odd. It’s frustrating to watch as Apple continues to improve upon its wearable side and define its focus while Google and partners can’t figure any of it out. Apple keeps introducing new custom chips that are more efficient, they’ve put bigger screens in smaller bodies, created a vibrant ecosystem of watch bands, have regularly added to the health and fitness side, and are at the point where their watch is saving lives on the regular and will only save more going forward. The new Apple Watch Series 4 can generate a f*cking ECG. Wear OS watches are still dancing around with cheap heart rate monitors that I’m not sure anyone trusts. There is some hope on the horizon for Wear OS because Qualcomm has finally made a new chipset. It’ll offer multiple battery life profiles that could last for weeks, possibly open up the platform for better health monitoring like Apple is doing, and give us a better looking experience. But why is it that we are relying on Qualcomm to come around for Wear OS to advance? I know that Google has only started making chips with its Pixel Visual Core, but it feels like Wear OS died over the past two years because they were waiting on someone else to make it better, someone who may not have been all that interested in doing so. And they are doing that with hardware too. Google isn’t making a watch this year (again) because they want to focus on their partners and the watches they have in the pipeline. That’s been the story from day 1, though, and it hasn’t worked. We thought that we might finally get a Google-made watch this year, possibly named Pixel Watch, but Google has already squashed that rumor. What’s troubling about that bit of news are the quotes that accompanied it. Google’s Wear OS boss, Miles Barr, was asked about the possibility of a Google watch and his answers make it sound like Google still has no idea what a proper smartwatch is or what it should do. He gave a vague response to his vision for a Google watch, where it would have a heavy AI influence and Assistant, except that’s already kind of a part of Wear OS. But he also suggested that a one-size fits all watch might not exist because some people want fashion accessories while others may want a sports experience. In other words, Google doesn’t know and aren’t really interested in trying. I bring this all up because Apple has what Google thinks doesn’t exist. The Apple Watch is meant to be a one-size-fits-all device. It’s both a fashion accessory and a sports watch, for those who need it. While I may not love the look of the Apple Watch, it’s pretty obvious that a whole bunch (like, millions) of people do or are at least comfortable enough with it. It’s really starting to feel like Apple has lapped Google in this department six or seven times now. We’re not just talking about a slight edge here where Google and its partners are really close to coming up with the watch we all want. Apple is on its 4th series of watches and 5th version of its watch OS. They’ve fully defined the smartwatch category. Each new Apple Watch gets better at fitness. They get better at health. They get better at providing information. They get better at connectivity. They get better at being social. They get better at being watches. Google still hasn’t given us a series 1 watch and after four years of making a wearable OS, doesn’t even know what that might look like. Additionally, some of its previously key partners weren’t even mentioned when Qualcomm revealed the future of Google’s platform, as if they still aren’t ready to try again. The only partners we know on board are more fashion brands, some of which none of us will be able to afford. Let’s also not forget that the newest version of Wear OS that was just unveiled almost a month ago as the latest revamp to try and turn this thing around, has still not rolled out to a single watch. That’s funny too, because if Google had its own watch, like its Pixel and Nexus devices, I may not be able to say that. I don’t get it. What are we doing, Google?